Posted on June 28, 2018 at 3:51 pm. Posted on February 6, 2018 at 8:58 pm. 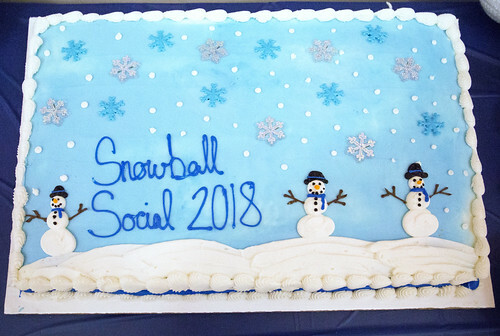 The Literacy Program hosted its annual Snowball Social last week. Attendees dined on potluck dishes featuring foods from around the globe, worked together on trivia challenges, and competed in Round the World bingo. This event highlights the diverse group of students in the Literacy Program and brings some light and warmth to a cold winter night. Check out the pictures below to see the event!